In Morgantown and across the neighboring communities, Gutter Helmet® protects homes with the greatest gutter protection system available. We have been a part of the Pittsburgh area for more than 34 years, installing Gutter Helmet® products on all kinds of homes. In fact, Gutter Helmet® can be found on over one million homes across our great nation. Picture never again having to clean your gutters. You heard right: no more clogs, blockages, or soggy debris, guaranteed! 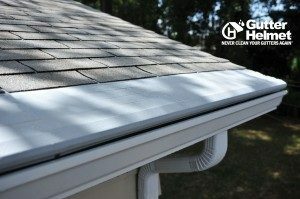 Gutter Helmet® is the perfect choice for gutter guard protection for all four seasons. Just ask all the happy homeowners in the Morgantown region who know what Gutter Helmet® is all about. Intrigued? Call Gutter Helmet® today for a no-obligation written estimate for your home in Morgantown, Westover, Blacksville, Granville, Star City, Brookhaven, Cassville, Cheat Lake, Osage, Georgetown, or Sabraton. It’s absolutely free!